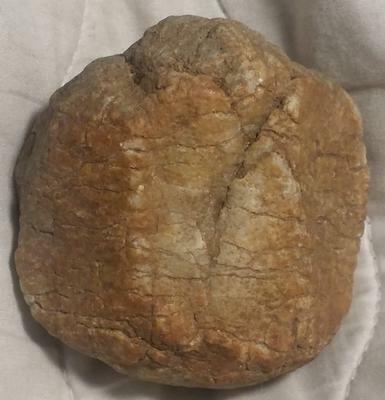 This looks like the fossil is still hiding. In order to reveal the identy of your specimen we need some more clues! See if you can tell which band of color represents where you found your specimen. Take that info to this page to learn more about the time that is represented there. 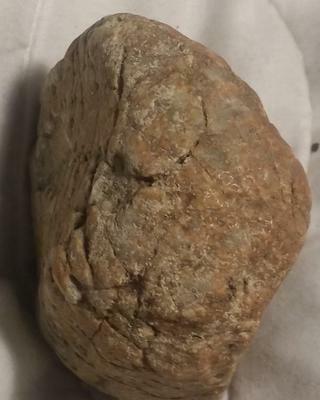 These are common fossils found in Indiana. The trouble is that none of these look like the fossil hiding in your specimen. As I said before we need more clues. 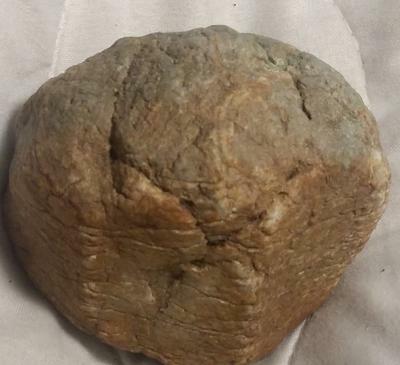 The one fossil that is known in Indiana that may be in your rock is a trilobite. This is what I thought of when I looked at your pictures. 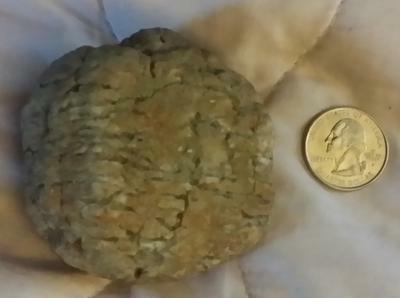 Trilobites are not found everywhere in Indiana. They are more likely as you go closer toward Cincinnati. They are known to be found near Oldenburg. This is a photo of a trilobite for sale on our sister site fossilicious.com.